﻿Cris is the Head Instructor and Founder of Adrenaline MMA & Fitness and has a wealth of knowledge and experience to pass onto this students. Cris is without a doubt Australia's most decorated Freestyle Wrestler in history, competing in 5 Olympic Games from 1980 to 1996. With his best result being 4th place in the 1984 Las Angeles Olympic Games. He is also a 2 time Commonwealth champion, a 16 time Australian Senior Champion, and a Commonwealth games silver medalist. 7 times Cris has been in the worlds top ten rankings. Cris is also a very decorated submission grappler. 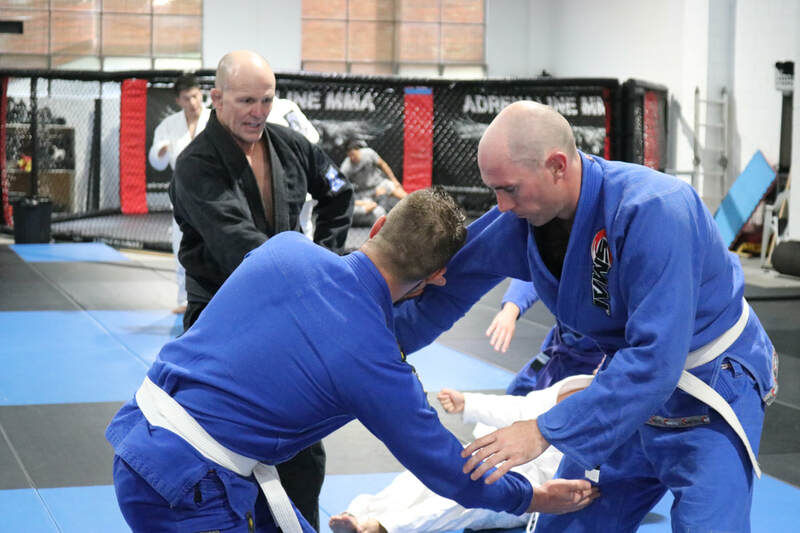 Holding a Black Belt in Brazilian Jiu-Jitsu from renowned coach John Donohue. He has placed 4th in the 2001 World Abu Dhabi Championships, the most competitive and recognized submission grappling comp in the world. During this tournament he defeated the famed Renzo Gracie. Cris fighting on 'No Holds Barred' Victorias first ever MMA fights. Interested in a tour or to try the classes? Leave your message and we will get back to as soon as possible!